We interrupt Retro Week to bring you a 14-question edition of the mailbag. One more of these next week, then pitchers and catchers report to Spring Training. RABmailbag (at) gmail (dot) com is the mailbag email address. Fire away. Matthew asks: With the Royals re-signing Alcides Escobar (for reasons I can’t understand) and Raul Mondesi Jr. seemingly ready for a full time audition, can you see the Yankees swinging a deal for Whit Merrifield? He would bring the contact profile so many have been calling for and a decent glove at 2nd and 3rd. If so, what would it take? The Royals must believe Mondesi still needs time in Triple-A. I’m not sure why else they’d re-sign Escobar. As for Merrifield, he’s a late bloomer (turned 29 last week) who took over as Kansas City’s starting second baseman last season. He hit .288/.324/.460 (105 wRC+) with 19 homers, 34 steals, 14.0% strikeouts, and above-average second base defense (+5 DRS) in 145 games. Merrifield was basically peak Ian Kinsler with one fewer walk per week. Merrifield has five years of control remaining, so you’d think he’s someone the Royals would keep, but he’s already 29. He might be in decline when they’re ready to win again. For the Yankees, Merrifield would add a contact heavy bat and some speed, and as an added bonus, he has experience at first base, third base, and left field. Played there last year and played there coming up through the minors. The Yankees could start him at second if Gleyber Torres isn’t ready or third base if Miguel Andujar isn’t ready, and use him to back up Greg Bird. The “what would it take?” question is so difficult to answer. When was the last time a guy like Merrifield, a late-bloomer with one above-average season and five years of control, was traded? I feel like the Royals wouldn’t be wrong to ask for Chance Adams because they’re moving a potentially very valuable player. At the same time, I wouldn’t blame the Yankees for saying no because Merrifield might never do what he just did again. Yes, I think Merrifield would be a smart, worthwhile add. Whether the price is right is another matter. Dennis asks: Now that we saw what Yelich was traded for (No. 18 prospect OF, No. 75 prospect OF, AA infielder and AA pitcher), it seems like your offseason plan trade proposal would have been basically right there (maybe Andujar instead of Adams?). Given the salary cap savings might have let us keep Castro and/or sign Darvish, do you think you would have preferred the left-handed center-field-capable player instead? In a vacuum, I would’ve preferred Christian Yelich to Giancarlo Stanton. Yelich gives the lineup a little more left/right balance, doesn’t add more strikeouts, and is signed to a much more favorable contract. In the real world, give me Stanton on a salary dump over Yelich for a big four prospect package. The Yankees have gobs of money and they should forever use that money to secure high-end talent while keeping their best prospects. When I put together my stupid little offseason plan, I assumed Stanton wouldn’t be available in a pure salary dump, otherwise I wouldn’t have included the Yelich trade. I thought it would take real prospects to get Giancarlo. I love Yelich. Dude is a stud and I wish he was a Yankee. But getting Stanton for that package? Easy call. The salary difference between Stanton and Yelich potentially being enough to sign Yu Darvish doesn’t change things for me. Shaun asks: I know MLB has guaranteed contracts but does a player on the 60 day disabled list count against the luxury tax? Is there any circumstance where a player doesn’t count against the luxury tax? Players on the disabled list count against the luxury tax payroll. That includes the 7-day DL for concussions, the regular 10-day DL, and the 60-day DL. The only way to have a player not count against the luxury tax is to not have him on the 40-man roster, and even that’s not foolproof. Release a player from a guaranteed contract and he still counts against the luxury tax, a la Alex Rodriguez. The Yankees couldn’t simply outright Jacoby Ellsbury off the 40-man roster to dump his luxury tax hit. Ellsbury has enough service time to refuse any minor league assignment, elect free agency, and keep his entire contract (and have it count against New York’s luxury ax payroll). He’s not going to go to Triple-A as a non-40-man player. He’d elect free agency and find another team. 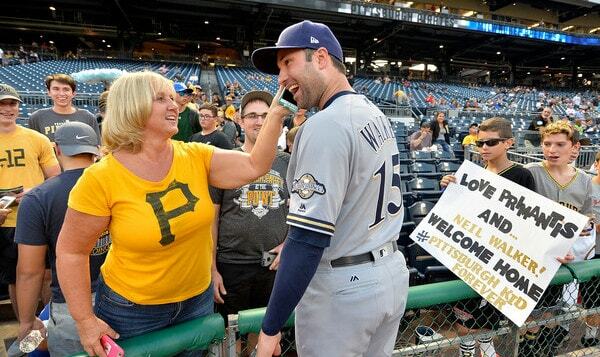 J.R. asks: Neil Walker is probably the best free agent option for 2B/3B. What kind of contract do you see him getting at this point and would he be worth it as veteran insurance? Walker is probably the best fit for the Yankees. He can play second base, we know that much, and last year he also played some first and third bases well. He switch-hits, he doesn’t strike out much, he has a history of getting on base … he’d be a good fit. Similar to Merrifield, the Yankees could use Walker at second if Gleyber isn’t ready or at third if Andujar isn’t ready, and count on him as Bird’s backup. At this point, who knows what kind of contract Walker (or any non-elite free agent) is getting? MLBTR projected two years and $20M, and FanGraphs crowdsourcing had three years and $39M. I don’t think either would be unreasonable in a “normal” offseason. This isn’t a normal offseason though. The Yankees have about $12M to spend, assuming they do set aside $10M for in-season additions. Splitting that in half and getting an infielder for $6M and a depth starter for $6M would be swell. I reckon $6M (or even $8M) won’t be enough to land Walker though. 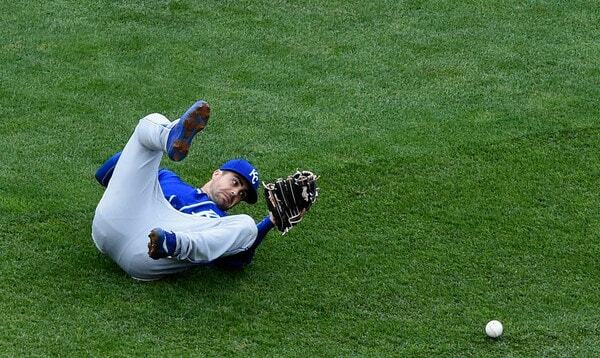 Of all the free agent infielders, I think he makes the most sense for the Yankees in terms of their roster needs. Jose asks: What happens if one of the high qualities FA (such as J.D, Yu, Jake, etc..) don’t sign until May or June, would they lose their draft pick compensation making it easier for teams to sign? Or how does it work? Once the draft passes, qualified free agents are no longer tied to draft pick compensation. (The draft runs from June 4th to 6th this year.) I don’t think draft pick compensation is holding up the market though. The compensation rules have been softened — every first round pick is protected now — and besides, it wouldn’t explain why guys like Yu Darvish, Todd Frazier, and J.D. Martinez haven’t signed yet. They’re not tied to draft pick compensation. It seems like every team decided not to spend money on free agents. Giving up a second or third round pick is a secondary concern, or should be for someone like Eric Hosmer or Alex Cobb. Michael asks: 2018-19 FA class has been hyped for years now, but can’t a strong case be made that the 2019-20 class is perhaps even deeper if not more attractive–especially to the Yanks? SP crop seems especially juicy. Let’s not get too far ahead of ourselves here. Lots can and will change before that 2019-20 free agent class rolls around. Remember the offseason when Felix Hernandez, Justin Verlander, and Clayton Kershaw were all going to become free agents, and then all three signed extensions? Even next offseason’s free agent class isn’t looking as exciting as it did a few months ago. Anyway, among the big names currently scheduled to become a free agent during the 2019-20 offseason are Madison Bumgarner, Chris Sale, Nolan Arenado, Anthony Rendon, Paul Goldschmidt, Marcell Ozuna, and Jonathan Schoop. And Didi Gregorius, Sonny Gray, Aaron Hicks, and Dellin Betances. Planning ahead for future free agent classes is a waste of time. The Yankees shouldn’t, say, pass on extending Gray because they want to sign Bumgarner. The 2019-20 free agent class is exciting. Let’s see what it looks like when November 2019 rolls around. Adam asks: I feel like Gary Sanchez’s passed balls are way overblown. But I am curious to see if there is a stat of how many of his passed balls led to runs scored by the opposing team across an entire season. Thanks! That is 16 passed balls contributing to nine total runs scoring. Ten of the 16 came in games that were separated by no more than three runs at the time of the passed ball. I can’t say I’m all that interested in going back and looking at win probability swings. The passed balls happened, they sucked, and life goes on. Sanchez needs to be better at blocking pitches going forward, that’s obvious, but he’s still pretty awesome and I’m glad he’s a Yankee. Alan asks: Getting ahead of ourselves here but if Andujar had a very very good rookie year (let’s say .280 batting average, 15 to 20 HR with solid avg defense), do you think this would affect their pursuit of Machado next off season? If not and they actually get him, what do you think they would and should do with Andujar? I’m not sure there’s anything Andujar could do this season to convince the Yankees to pass on Manny Machado. I love Andujar, I think he’ll be really good, but he’s no Machado. And it’s not like Machado will be over 30 either. He’ll be 26 when he hits free agency. The Yankees signed Jason Giambi even though they had a premium MLB ready first base prospect in Nick Johnson. Heck, Aaron Judge just had the season he had, and the Yankees still got Stanton. As long as the financials work, the Yankees are always going to gravitate to stars, and Machado is a star. As much as I like Andujar, he doesn’t project to be that type of player. His play alone won’t be enough to convince the Yankees to steer clear of Machado. Can’t see it. They’d sign Machado and figure out something with Andujar. Trade chip, new position, whatever. Ray asks: Which bad contract has more value and is easier to trade — Matt Kemp or Jacoby Ellsbury? Neither. They both have basically zero trade value. Kemp is a league average hitter who should be limited to DH. Ellsbury can still play the field well enough, but unless you buy into 2017 Ellsbury being the real Ellsbury going forward, he’s a below average hitter. Ellsbury is the better player, I think. Problem is he has three years and $68.5M remaining on his contract. Kemp has two years and $38.5M once you subtract out what the Padres are paying him. Hard to imagine trading either guy for something of actual value, or not having to eat a substantial chunk of the contract to facilitate a deal. Neither has any trade value, but Ellsbury’s the better player while Kemp’s contract is less onerous. Will asks: Any chance Mike Clevinger is available? What would he cost?
? I don’t love Clevinger — walks and fly balls are a baaad mix for Yankee Stadium — but he could be available, he’s cheap (financially), and he’s under control a while. The Yankees figure to at least check in. The Indians are World Series contenders, of course, so I doubt they’d be interested in trading a starter for prospects. They probably want a big league player(s) in return. Someone who can help them win now. Cleveland desperately needs a right-handed hitting center field capable outfielder, and the Yankees don’t have one to offer. Aaron Hicks? Hicks for Clevinger? Doesn’t sound crazy to me. I don’t think I’d do it, but it could be something. Brent asks: Gary hit 33 HR while missing a month. The single season HR record for a catcher is 42 by Javy Lopez. Do you think Sanchez will break that record in his career? Those guys are the only five players in history to hit 40 homers in a season as a catcher. Sanchez hit 27 home runs as a catcher last year, plus five as a DH and one as a first baseman. I definitely think Sanchez has 40 homer power. It’s in there. I’d bet against him breaking Lopez’s record, however. Notice something about those five players above? They all played for NL teams. No DH available. The DH spot is available to the Yankees and because of that, they’ll gave Sanchez plenty of time there throughout his career to preserve his body. Makes sense, right? More games at DH means fewer games at catcher though, meaning he won’t have as much playing time available to him to break Lopez’s record. Gary won’t have to catch 135+ games like the five guys above and that’s okay. Steve asks: If he hasn’t signed by the time spring training starts, could Todd Frazier break camp with the Yankees as a non-roster invitee? Does he have to be signed to a deal with the team for that to happen, even if it’s not a major league deal? The Yankees could bring him to camp as a non-roster player, sure. It would allow him to play in games and showcase himself for interested clubs. That said, it’s a losing proposition for Frazier. Nothing he does in Spring Training will raise his value. Teams know him. They’ve already evaluated Todd Frazier and come up with a number they’re willing to pay him. He’d be risking injury for … I’m not sure what. To remind teams he exists? They know that. Yeah, the Yankees could invite Frazier to camp as a non-roster player and try to sell him on the idea of it being a showcase. Realistically, he has nothing to gain by doing it. Dan asks: Can you predict the likely Scranton and Trenton starting rotations as of right now? I always feel like I’m forgetting someone during these exercises, but I think that’s it. The Yankees could send Acevedo back to Double-A Trenton to start the season after he threw only 79.1 innings there last year. (David Hale could step into the rotation then.) They did something similar with Adams last year, remember. Also, Rogers is coming back from elbow surgery (bone spurs) and may not be ready to jump into the rotation on Opening Day. He might be brought along slowly in Extended Spring Training. The Orioles have a recent history of keeping Rule 5 Draft picks no matter how poorly they perform, though it is possible the Yankees will get Nestor Cortes and/or Jose Mesa Jr. back from the O’s, which could change the projected rotations somewhat. Those projected rotations leave Will Carter, Drew Finley, Brody Koerner, and Jio Orozco without obvious landing spots. Carter and Koerner are candidates for full-time bullpen work. Finley and Orozco may have to settle for Extended Spring Training until rotation spots open up. Josh asks: A couple of weeks ago you answered a question about what Judge would need to do to beat Kris Bryant’s first year arbitration record, and your answer was basically, “win an MVP.” Since then, Mookie Betts beat the Red Sox and now owns the second highest first-year arb number, just a tick below Bryant’s. Given Betts also has a second place MVP finish, but no ROY, Judge’s path to a record number just got easier, huh? Yeah, I think so. I wrote something on Betts’ arbitration win at CBS and it seems to me his camp successfully argued their case using defensive stats like DRS and UZR. (Publicly available sabermetric stats are admissible in arbitration hearings now.) As good as he is, Mookie’s offensive numbers are not on par with Bryant’s or Ryan Howard’s, the other two guys to get $10M+ in their first arbitration year. His defensive numbers are super elite though. Either his representatives won the hearing using defensive stats, or the Red Sox built a terrible case. The Betts win is good news for all players, not just Judge. Good offense/great defense guys have been getting hosed in arbitration since the dawn of time. They might be paid more in line with their actual worth now. Judge is a good defender, but he’ll always be an offense first player, so I’m not sure how much the defensive stuff really helps him. The fact he is a (much) better hitter than Betts and also has a second place finish in the MVP voting means he and his people can start with Mookie’s salary in his first arbitration year, then ask for more. Assuming he maintains his 2017 performance to some degree.